Rep. Peter DeFazio today applauded the U.S. Forest Service’s decision to use a tree from Oregon’s Willamette National Forest as the 2018 U.S. Capitol Christmas Tree. The tree will be a gift from the Willamette National Forest and the State of Oregon to the people of the United States and will be displayed on the West Lawn of the Capitol in Washington, D.C. during the 2018 Christmas season. The tree will come from the Sweet Home Ranger District. 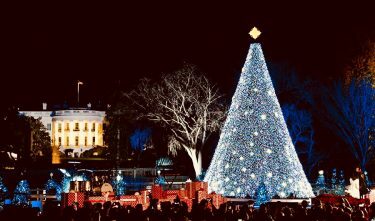 Additionally, 70 smaller trees will be sent to Washington to decorate government buildings and public buildings. The theme for this year’s Capitol Christmas Tree is “Find Your Trail” in recognition of both the 50th anniversary of the National Trails System Act and the 175th anniversary of the Oregon Trail. The tree will travel to Washington D.C. on the reverse path of the Oregon Trail by modern-day wagon train. Oregonians will contribute 10,000 handmade ornaments celebrating Oregon’s diverse history, natural resources, and people to decorate the tree.